8 December 2009, at 10:28a.m. 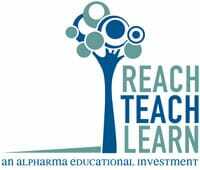 US - After countless hours spent taping, editing and producing videos, students from seven universities have submitted videos to the Reach Teach Learn Student Video Contest. Now it’s your turn to visit the contest web site to view the videos and cast a ballot for your favourite. Voting began on 30 November and goes through to 28 December 2009. Earlier this fall, agriculture students from across the US submitted short video clips depicting anything related to agriculture and food production. Students received a $25 gift card for each video accepted, up to 10. Students submitted more than 140 clips to the contest web site. In the second phase of the contest, students used these clips, along with their own footage and media, to compile a video conveying the role of modern agriculture in American society. The video with the combination of the most votes and judges score will receive $5,000, with second and third place receiving $2,000 and $1,000 prizes, respectively. The winning videos will also be posted on YouTube and other social networking sites where visitors will be able to see the video and have a better understanding of how food is produced, as well as the care that is given to farm animals. You can visit the contest web site and vote by clicking here.